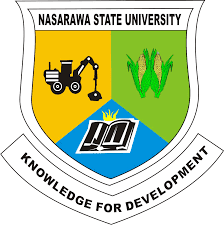 The Institute of Education, Nasarawa State University, Keffi, invites applications from suitably qualified candidates for admission into its sandwich (Long Vacation Training – LVT) programmes for 2018 academic session. NSUK Long Vacation Training Admission Entry Requirements. How to Apply for NSUK Long Vacation Training Admission. The application form is available online on www.nsuk.edu.ng, then proceed NSUK portal tab, select Institute of Education – LVT portal, then select New Applicant, (you will be required to use a valid email address and password of your choice), select a programme of your choice. You will be required to pay the sum of N5, 000. 00 (Five Thousand Naira) only via Remita by generating RRR code on an invoice and pay at any branch of the following banks: Diamond Bank, UBA, ECO Bank, First Bank, Unity Bank, Keystone Bank, FCMB, Skye Bank, Zenith Bank. At the point of payment, additional transaction charges of N315. 00 (Three Hundred and Fifteen Naira) only will be required. Closing Date: All duly completed Admission Forms should be submitted not later than 30th June, 2018.